And here we were, thinking that the woman who upset seven-term Democratic incumbent Bob Etheridge in the NC-2 by 1,489 votes, was a true believer in Tea Party principles. ...Her willingness to join the leadership, rather than beat up on it, is something that Tea Party groups in her state have begun to notice. Mrs. Ellmers understands their chagrin because she has been there. The scales have fallen from her eyes. 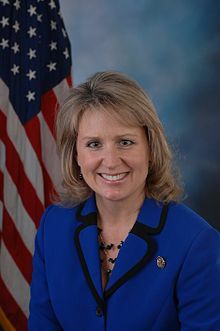 Renee Ellmers sees the light! And it's shining out of John Boehner's alimentary canal.